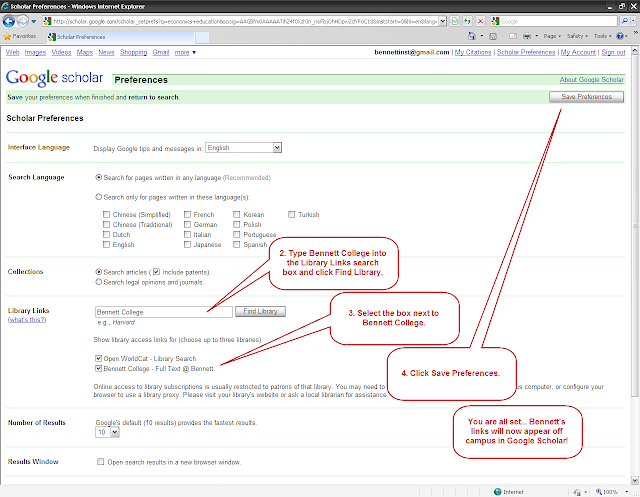 As you may already know, when using Google Scholar on campus, links appear along with your search results which either link you to a Full Text copy of the item via the Bennett College collection or to an Interlibrary Loan (ILL) form with which you may request a copy of the item. 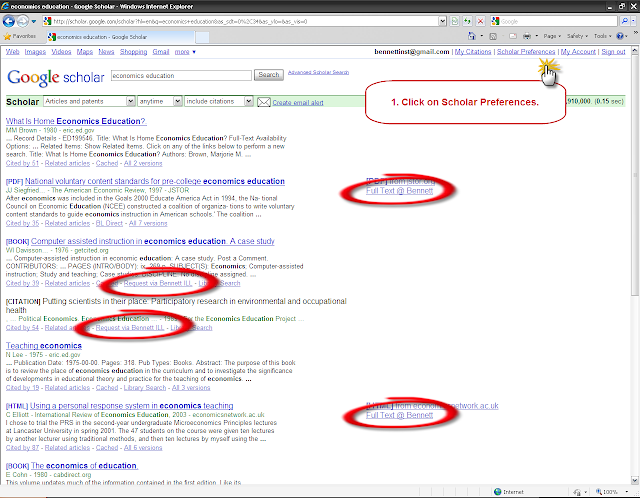 First, from Google Scholar, click on Scholar Preferences in the upper right-hand corner of the page. 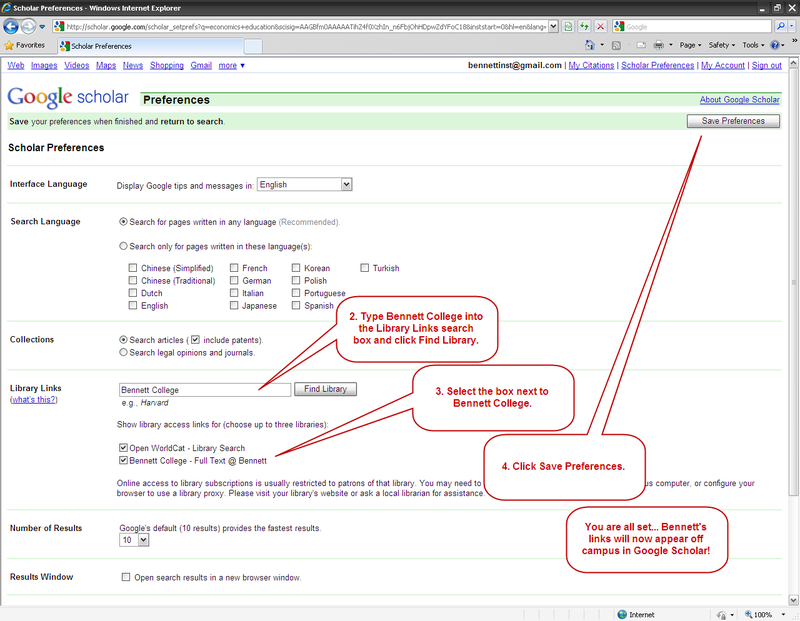 Second, type Bennett College into the Library Links search box and click Find Library. Third, select the check box next to Bennett College. 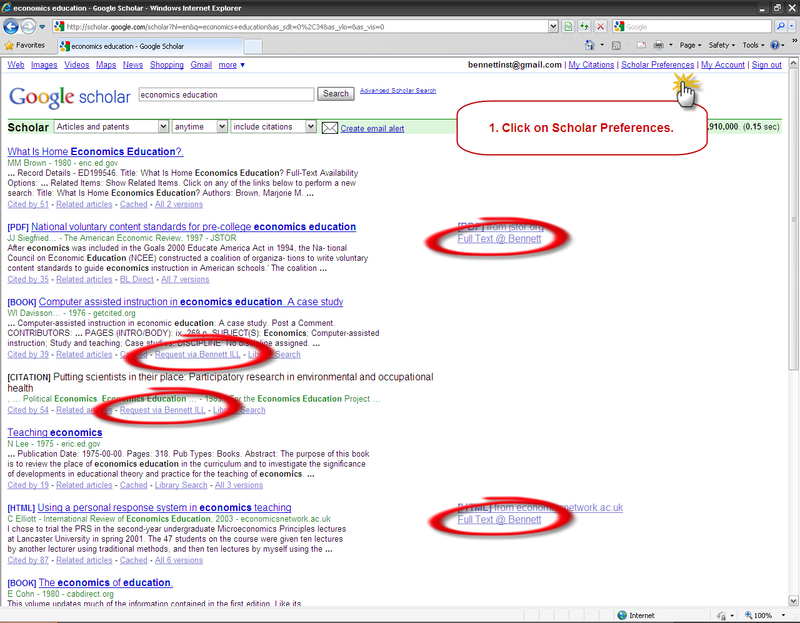 Bennett College links will now appear in Google Scholar when you are off campus!